What is a Web Page? Tables allow us to display information in a predictable and uniform fashion on a web page. Tables are well suited for presenting data that conforms to rows and columns. Content in table cells is easy to format consistently. 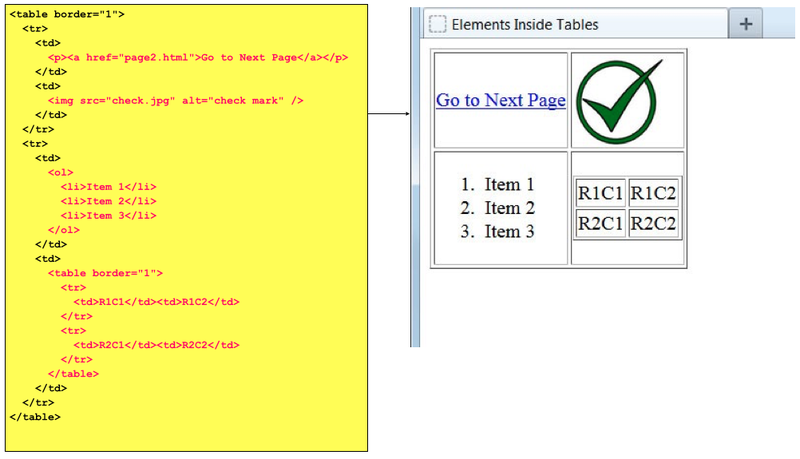 In the past, tables were often used to lay out and organize an entire web page. This was a misuse of the <table> element, which should be used only to present specific information within a page’s overall content. 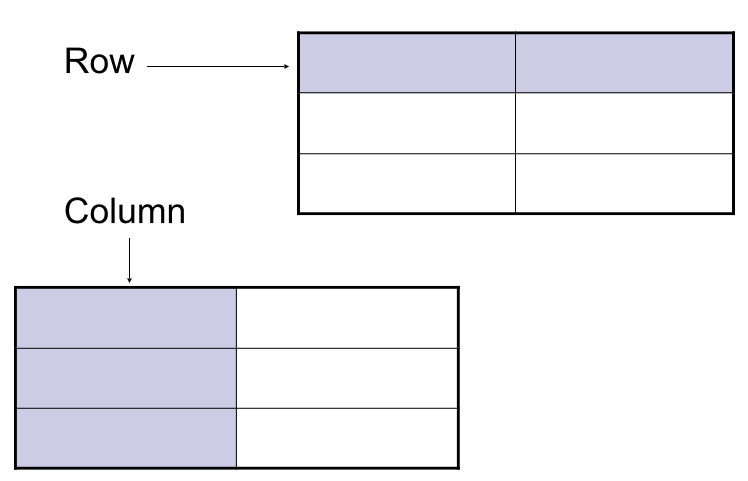 This simple table has two columns and three rows. In this code, we have created a table and defined three table rows, each with two cells of table data (i.e. two columns). Here we have added meaningful data to the table and it is displayed on our web page, though the table is not very visually appealing. By adding the border=”1″ attribute to the table element, browsers will display the table with vertical and horizontal borders around each cell. This makes the table a bit easier to view. If the text in our top row is meant to serve as column labels for the data below, we can use the <th> (“table header”) element instead of regular <td> elements. 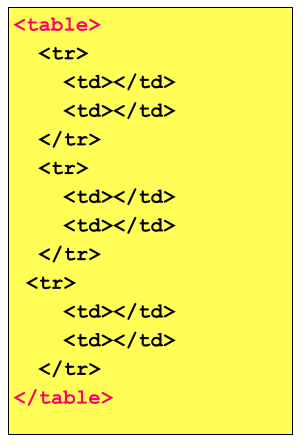 This informs the browser to automatically bold and center the text. We can build a data cell that spans more than one column by using the colspan attribute: The value placed in the colspan attribute informs the browser how many columns to combine into a single data cell. Example: Spanning Rows The rowspan attribute works the same way by informing the browser how many rows to combine into a single cell. Example: Spanning Rows and Columns Both the colspan and rowspan features can be used in the same table to create a more complex table structure. Adding a Table Caption To add a caption to the table, we use the <caption> element immediately after the opening <table> tag. 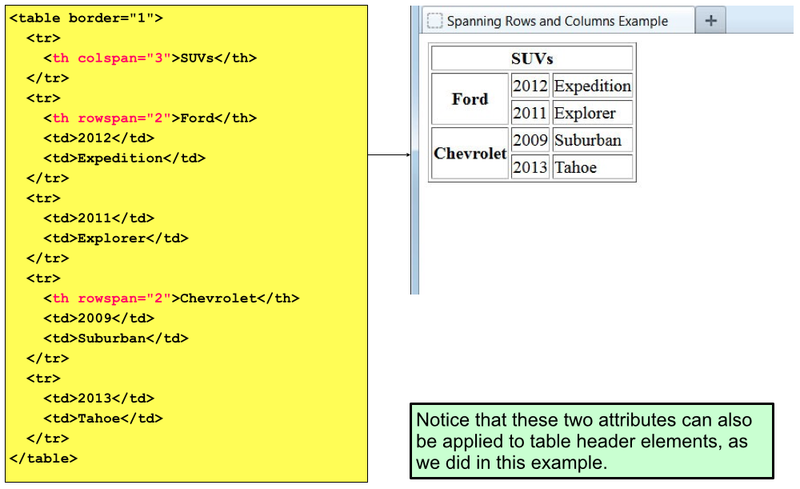 The text enclosed within the <caption> element will be displayed above the table and centered. Other Elements Inside Tables Many other elements can be placed inside table cells, including paragraphs, links, images, lists, and even other tables.